The new album, working title ‘The Conversations’, is developing well. Spent the other day recording double bassist John Edwards who improvised completely ‘blind’ to the piano recordings. Amazing mastery of his instrument – switching seamlessly between bowing and plucking. Now editing that material and preparing for next sessions – more bass and then cello. 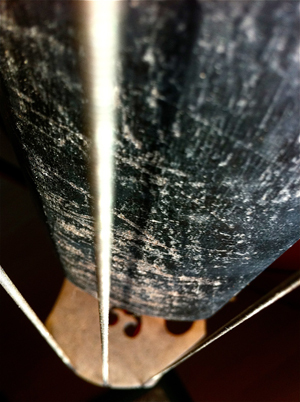 The image is of John’s very well loved double bass.